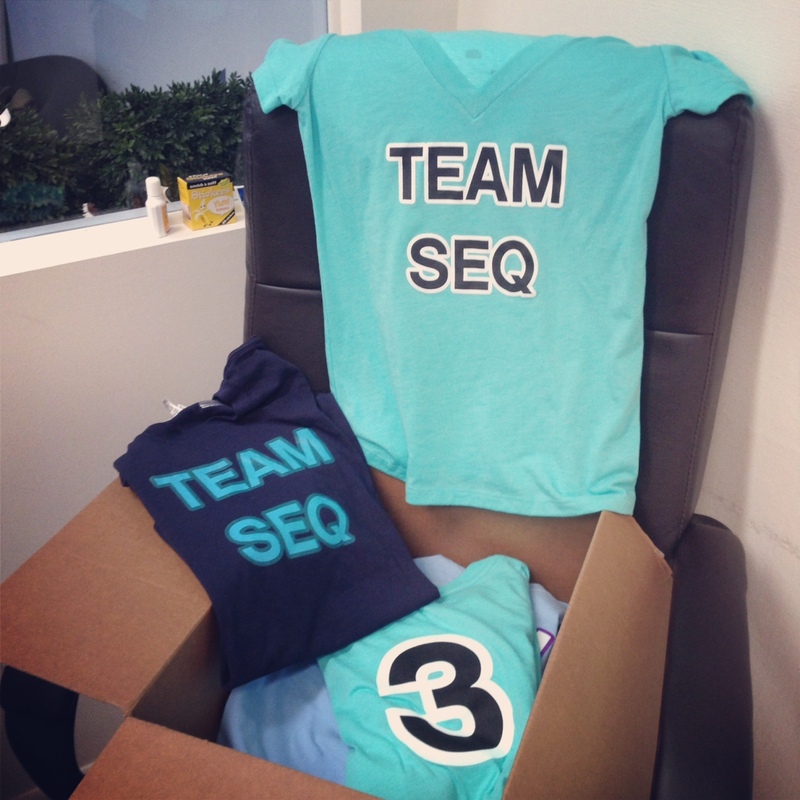 Finally the day has come to show off our first round of TEAM SEQ merchandise! Thanks to Adam and our awesome intern Shakira, we got our hands on some pretty sweet threads for the office, the gym, event setup days, climbing Mt. Everest, jumping out of Black Hawks... or just good ol' sleep. We're so proud of our mission, our accomplishments, our clients and our team (aka family). These shirts are just the beginning- but mean something similar to that of a Varsity letter. We work hard and play hard -- and love to wear that on our sleeve (literally).